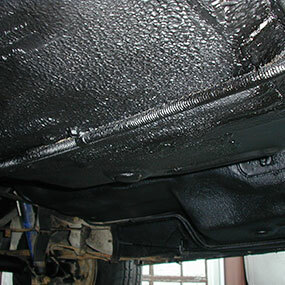 Rubberized undercoating spray sound deadener protects the undercarriage, a car’s most vulnerable area. Our heavy abrasion resistant sealant is guaranteed to protect your vehicle’s undercarriage against moisture, chemicals and salt that cause rust. Our undercoating service provides corrosion control technology that is applied to all visible underside areas. Unlike visible portions of a vehicle, the undercarriage doesn’t get washed regularly but does absorb most of the moisture, salt, grime and other substances you come in contact with as you drive. In addition to protection from elemental damage, good undercoating ( we use top quality products) can also reduce road and engine noise, leaving the passenger compartment quieter than before. Undercoating a car or truck is one of the best ways to stop corrosion before it starts. 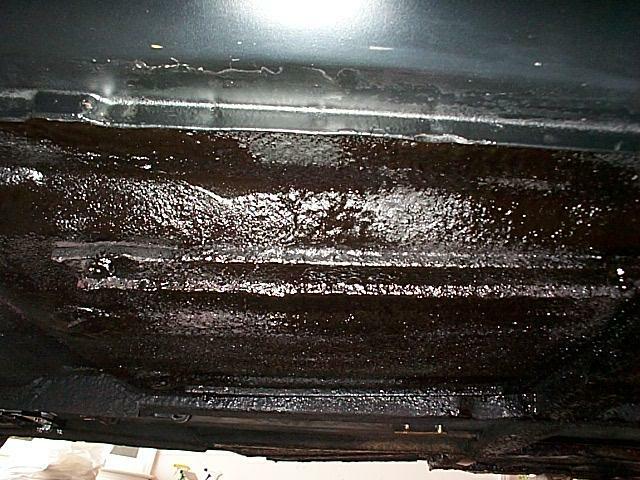 Applying automotive undercoating to a vehicle puts a physical barrier between the exposed underbody and all the road debris just waiting to pummel it. That’s important, because road debris goes way beyond litter. It includes magnesium chloride and other chemical compounds used to de-ice asphalt and control dust. Once that stuff gets drawn up into your vehicle, it can stick like glue. By the time the corrosion becomes visible, its effects may already be widespread. At NW Running Boards, we carry the best undercoating for trucks and cars. Here’s how our products work. The undercoating is applied to those surfaces of the car that get most exposure to the road—the underbody and the wheel wells. Because auto undercoating involves treating the most visible and easily accessed areas under the vehicle, no guesswork is required. This in turn makes the process easy, affordable, and relatively quick. The benefits of car undercoating are many. Because undercoating for trucks and cars prevents corrosion, it extends the life of the vehicle. It also means you’ll spend more time enjoying it and less time (and money) repairing it. Undercoating also helps reduce road noise, as debris never makes contact with the metal.